In stock -This product will ship today if ordered within the next 10 hours and 47 minutes. A support for skin health and natural muscle repair - the ultimate way to replenish magnesium levels. 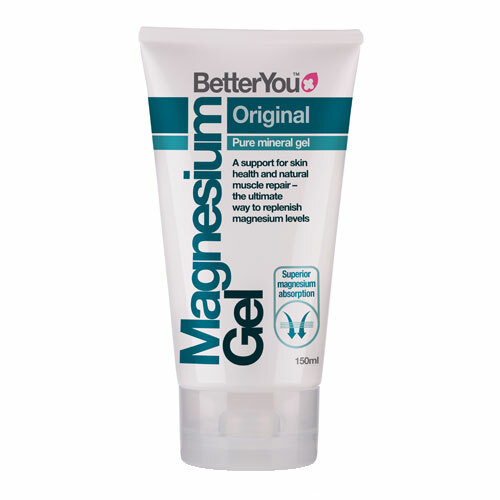 MagnesiumGel will provide 100mg of elemental magnesium for every 1mg of gel. In a single teaspoon that would be an impressive 500mg. Concentrated solution of Zechstein Inside magnesium chloride hexahydrate (30% concentration), hydroxyl propyl starch phosphate. Apply a small pea sized amount onto the targeted area and massage well into the skin. Reapply whenever as needed. Apply anywhere on the body avoiding delicate areas such as the eyes. Concentrate on joints, muscles and areas of concern. Suitable for children and for use during pregnancy. 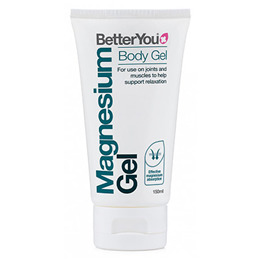 Below are reviews of BetterYou Magnesium Gel - 150ml by bodykind customers. If you have tried this product we'd love to hear what you think so please leave a review. This product is awesome. I tried magnesium spray that I bought in Norway, and this product from BetterYou is way better. More convenient to put on skin, and itches only a little bit for 30 minutes, not massive 3 hours like the oil did. Also my muscle tension have gone down alot, so for me topical works clearly better than oral.